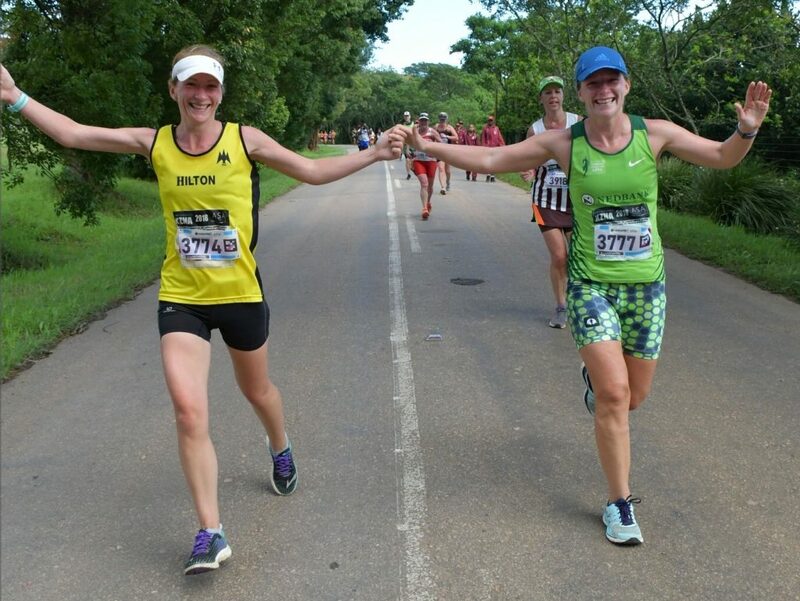 Every year thousands of runners make their debut at the Comrades Marathon but this year there will be one woman running in the colours of The Cows making her Comrades debut as part of her courageous journey in her battle against cancer. 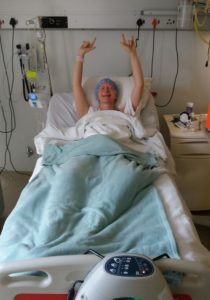 Caz Clover has endured a roller coaster two years, having been diagnosed with cervical cancer and undergone extensive treatment before getting the all-clear from her oncologists. Inspired to help others in the battle against the disease, she will be running her first Comrades with her twin sister Angela Parry, in her particular case she will be channelling her energy into raising money and awareness for the CHOC Childhood Cancer Foundation. “Raising funds for this incredible organisation is what’s keeping me committed and driven for Comrades,” says Clover, “Those amazing kiddos are my inspiration. “I have fought cancer; it is terrifying, exhausting, painful and financially draining,” the 36 year old from Hilton explains. “I am one of the fortunate few in this country who has access to medical aid and private hospitals. I have a car. I can afford to eat a very healthy diet to improve my health. The majority of cancer patients in our country are not this privileged. “There are thousands of children, along with their families, in South Africa, who are fighting cancer alone -with no medical aid. Can you imagine trying to get your child to a hospital for chemotherapy, radiation, a stem cell transplant or blood transfusions, and not even having bus fare to get them into a taxi to be taken to hospital?” she explains. CHOC offers emotional support, transport, accommodation close to treatment centres, family guidance, meals and love to the families of children fighting cancer. “Comrades will come with its own ups and downs. At times I’ll want to quit, and I’ll come out on top – I hope! “I’ll cry, I’ll laugh, and I’ll fight to get to that finish line. Because I can. Because I am alive and because I had the support and love and care of so many people and doctors and hospitals to get me to where I am today,” says Clover. “I will run comrades, and I will make a difference to the lives of these less fortunate families and their beautiful, strong and courageous children,” she added. She said that she also want to create awareness about cervical cancer and why it is so important to go for check-ups. “It is so important to go for those check-ups. Early detection really does save lives. I have regular check ups! And yet I was already stage Two! “I want to show people that cancer can be beaten. There is hope. And there is life after cancer. Of course not everyone is so fortunate. But being diagnosed is not a death sentence. There is hope and I would really like woman in particular, to see that you can come out the other side strong, fit, healthy and alive!” she said. Clover is supplementing her Comrades CHOC fundraiser with a Spinathon at the Velocity Sports Lab in Hilton on 11 May, and is inviting eager riders to buy a bike for the 12 hour Spinathon, or to simply make a donation to her fundraising account.